AGC is the leading association for the construction industry. Operating in partnership with its nationwide network of Chapters, AGC provides a full range of services that satisfy the needs and concerns of its members, thereby improving the quality of construction and protecting the public interest. With the Occupational Safety and Health Act of 1970, Congress created the Occupational Safety and Health Administration (OSHA) to ensure safe and healthful working conditions for working by setting and enforcing standards and by providing training, outreach, education and assistance. The OSHA Act covers employers and their employees either directly through federal OSHA or through an OSHA-approved state program. State programs must meet or exceed federal OSHA standards for workplace safety and health. NECA is the voice of the electrical construction industry. NECA has provided over a century of service to the $130 billion electrical construction industry that brings power, light, and communication technology to buildings and communities across the United States. NECA’s national and 119 local chapters advance the industry through advocacy, education, research, and standards development. SAIF Corporation is Oregon's not-for-profit, state-chartered workers' compensation insurance company. They are the market leader, issuing almost half of the policies in Oregon and providing coverage to more than 600,000 workers. Their unique charter, mission, vision, and leadership principles drive their dedication to the people, businesses, and state of Oregon. The Bay Area Chamber of Commerce is a non-profit, professional organization made up of the Coos Bay, North Bend and Charleston business communities. Together they work to create a strong business voice, promote business and improve the economy of the Bay Area. Businesses in the Bay Area increasingly endorse the Chamber of Commerce and we continue to be recognized as a vital link between the Cities, State and regional parties of leadership, and act as the promoting entity for community spirit within the Bay Area. 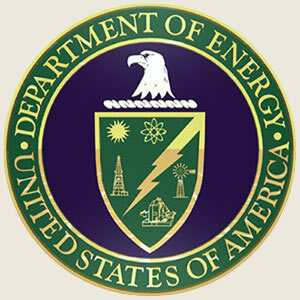 The mission of the Oregon Department of Energy is to ensure Oregon has an adequate supply of reliable and affordable energy and is safe from nuclear contamination, by helping Oregonians save energy, develop clean energy resources, promote renewable energy, and clean up nuclear waste. Energy Trust of Oregon is an independent non-profit organization dedicated to helping Oregonians benefit from saving energy and tapping renewable resources. Their services, cash incentives and solutions have helped customers of Portland General Electric, Pacific Power, NW Natural and Cascade Natural Gas save nearly $600 million in energy costs. Energy Trust of Oregon's work helps keep energy costs as low as possible and builds a sustainable energy future. As a public purpose organization, they are committed to working for the greater good of all Oregonians. Interested in knowing how much you could be saving in your home? And what you should do to make it more efficient? Take their quick and easy survey and get a free home energy profile. Please go to our solar page- under services for more information and more resources. If you would like to request a service call, an estimate, or a home inspection please click here.